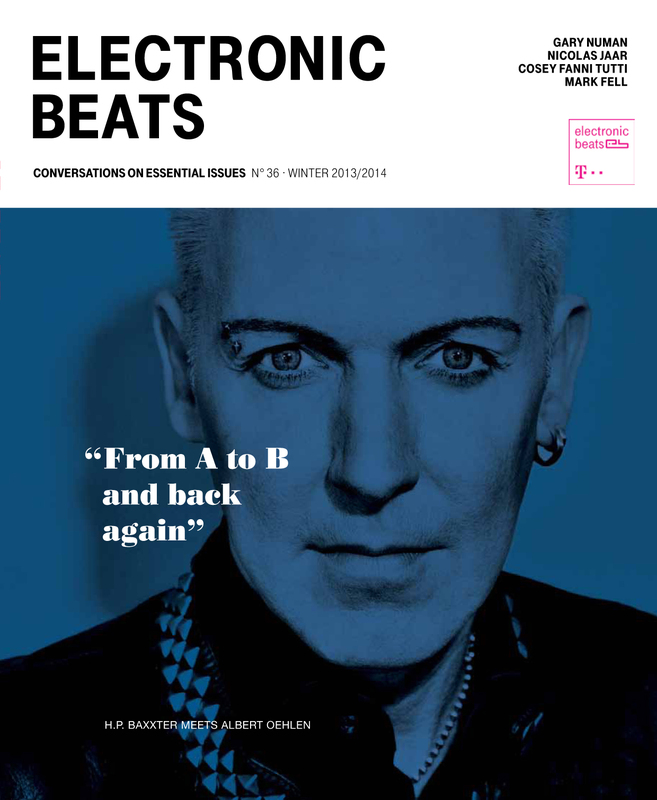 Holly Johnson, the legendary singer of Frankie Goes To Hollywood, once said: “I get buzzed off the fact that Andy Warhol’s heard of us, because he gets buzzed off the fact that Picasso had heard of him.” A few months ago, Electronic Beats editor-in-chief Max Dax wondered if H.P. Baxxter gets buzzed off the fact that renowned German painter Albert Oehlen had not only heard of him, but also uses the Scooter frontman’s chants and slogans in his paintings. This led to gathering the two pillars of high and low art for our cover story. Hopefully, the other interviews and conversations in this issue will be as edifying.Appropriately, they focus on artistic balance—not only the aforementioned high with the low, but also the hallucinogenic with the sober, the functional with the academic, and the self-aggrandizing with the painfully shy.